Black Friday is upon us and it's the perfect time to get your Christmas shopping. We've combined a list of all the best deals on offer. The list will be updated throughout the day, so be sure to keep an eye on it! Boohoo - Up to 50% off everything. Carphone Warehouse - 50% off phone cases, headphones and powerbanks. Castleknock Hotel - 20% off all stays. Currys PC World - operating special Black Friday hours, with a huge amount of deals. Debenhams - Up to 30% off in all departments. Eason - 30pc off everything online using the discount code BLACK until midnight on Tuesday (November 27). GYM+COFFEE - 10% to 40% off in store and online. Free beanie with purchase over €60, over €90 includes a free water bottle and over €120 includes a t-shirt. 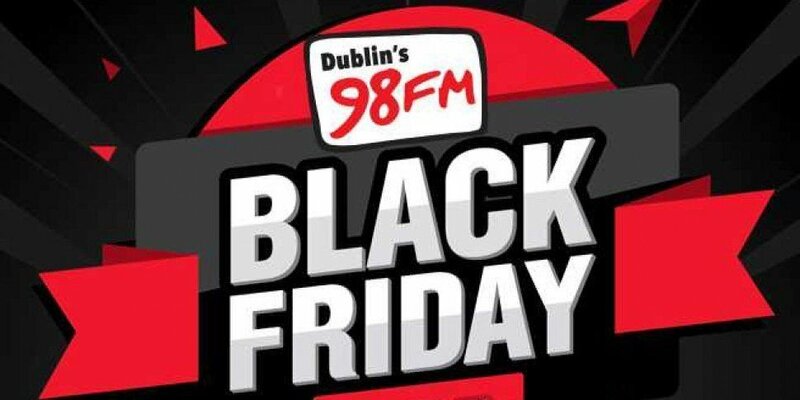 Harvey Norman - all stores open until midnight on Friday. up to 50% on mattresses, recliner sofas and dining furniture. Jervis - Up to 50% off selected items in participating stores. JD Sports - up to 50pc off, and 40pc off footwear, accessories and football-related products. LifeStyle Sports - 30% off at 50+ stores throughout the island of Ireland until next Tuesday (November 27). River Island - 20% off with €100 spend or more online or in store.